The Vice-President, Yemi Osinbajo, has said that the late former Vice-President, Alex Ekwueme, was committed to the unity of Nigeria throughout his lifetime. 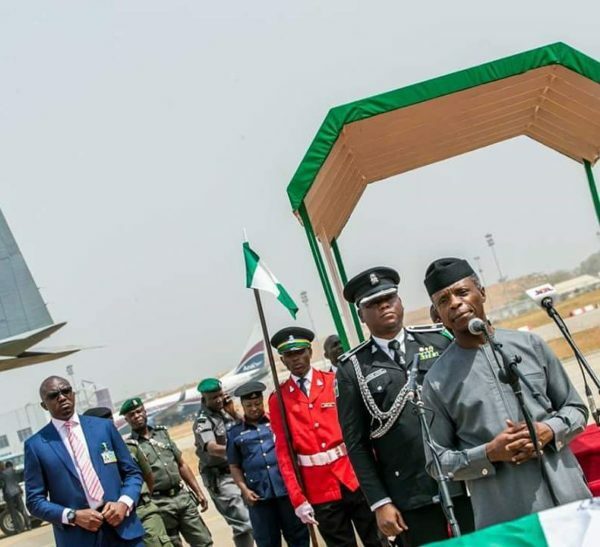 Osinbajo made the statement during a Parade of Honour for Ekwueme mounted at Nnamdi Azikiwe International Airport, Abuja, on Monday as part of the last respects by the Federal Government for him. He expressed the hope that the death of Ekwueme, who passed in November 2017, would not only encourage Nigerians but cement the relationship among all of the peoples and nationalities in the country. 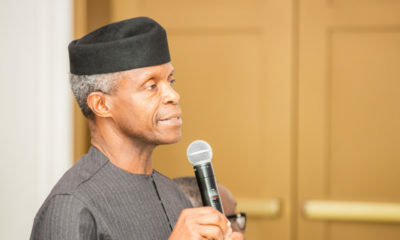 Osinbajo later handed over the remains of the late former vice-president to the family, represented by his son, Goodheart Ekwueme, at 12:40 p.m.
Emma Okeke, the Deputy Governor of Anambra, in an interview, urged current political leaders in Nigeria to learn from the steadfastness and outstanding qualities of Ekwueme. Chris Ngige, the Minister of Labour and Employment, said Ekwueme was a man who, in spite of his personal achievements, remained focused in his political career without compromise. “That shows his resilience but he is a man who doesn’t believe in a corrupt system to succeed because he never gave money to delegates and he never gave bribe. Also, Jim Nwobodo, a former governor of old Anambra State, said that the late former vice-president was humble, steadfast, courageous and had interest in Nigeria. This was brilliant, watched this Live on NTA while I was getting my hair done at the hairdressers (because they didnt have bb channel) just learning about Sir Ekueme and all the remarkable things people had to say about his character was amazing. It made me think, wish we had more men like him…. Sir Alex Ekwueme is a symbol of Nigeria’s Democracy. Kudos to the Government for giving him a befitting passion on ceremony.